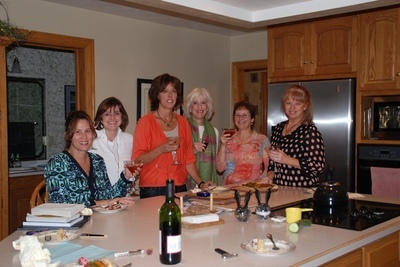 From left to right: Tricia, Kathy, Terry Jo, Margaret, Lee and Debbie. Wine AND martinis, ladies? You're in the running for top book club! Thanks for the very enjoyable discussion, and for continuing to make me laugh! This page contains a single entry from the blog posted on October 27, 2009 6:12 PM. The previous post in this blog was Bear 1, Project Nerd 1 (Talk About Fatal Attraction!). The next post in this blog is Boat People.